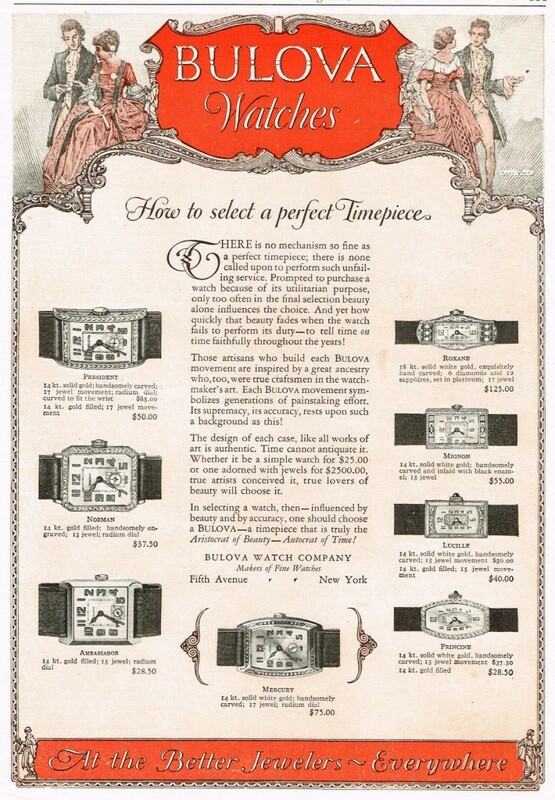 Romantic 1920s Bulova Watch Company advertisement featuring both men’s and ladies’ selections. 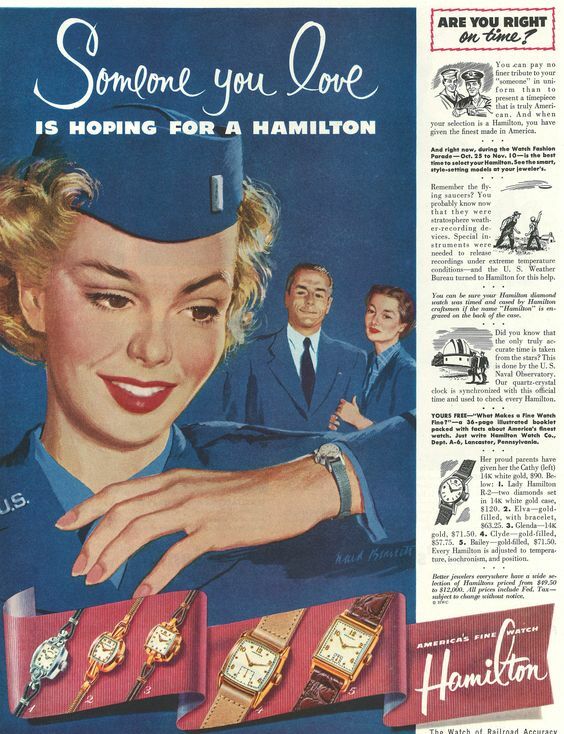 Retro Hamilton Watch Company ad featuring its newest Mid-Century models, circa 1950. 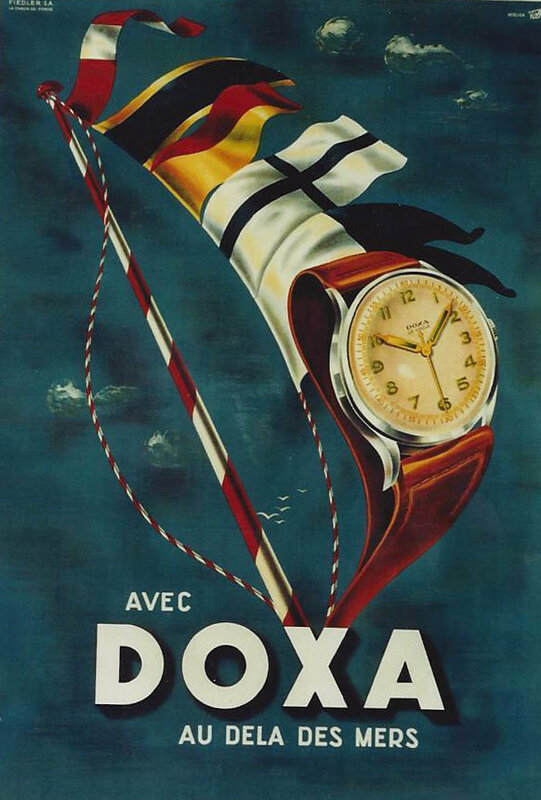 Colorful nautical-themed Doxa wristwatch ad; Switzerland 1932. 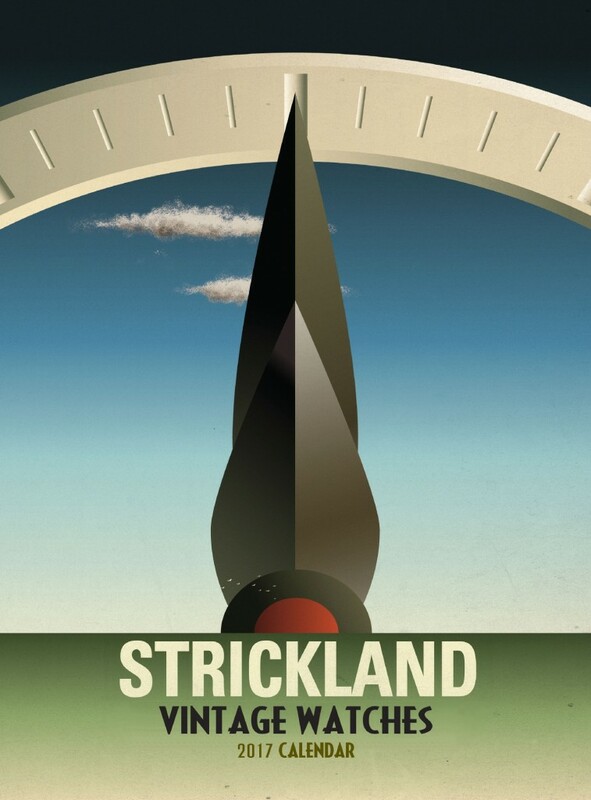 “Hearts Captive in Time” by Rossie Newson from his 2016 Cuban Club shoot for Strickland Vintage Watches. 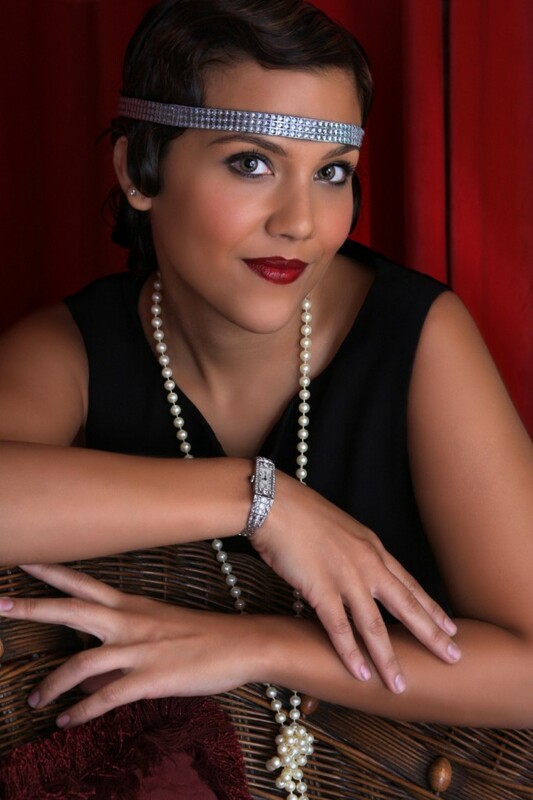 Model: Anisa French Makeup by: Lucrecia Suarez Special thanks to Christine Cowart and Jeff Hartzog and The Cuban Club – Ybor City. 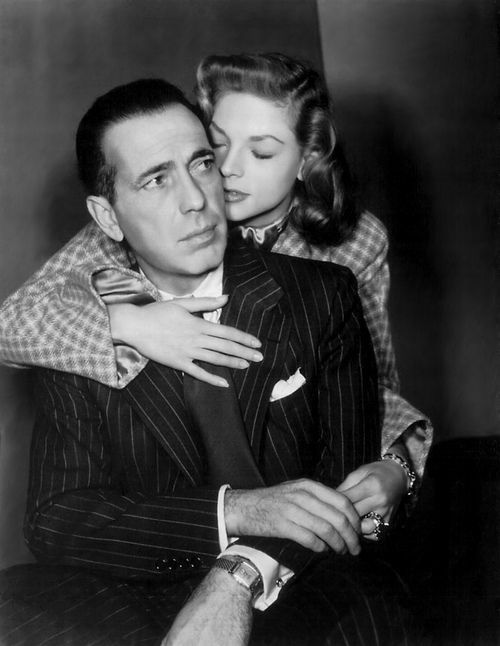 Humphrey Bogart and Lauren Bacall had one of the most legendary romances in Hollywood history. Together, they made four films and had two children. 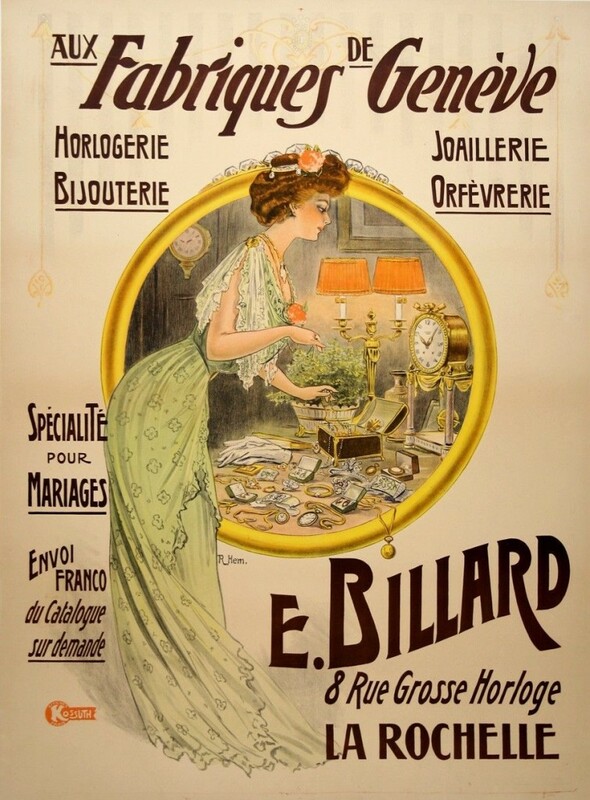 In 1982, Bertie Higgins penned a song, “Key Largo,” based on their love story. 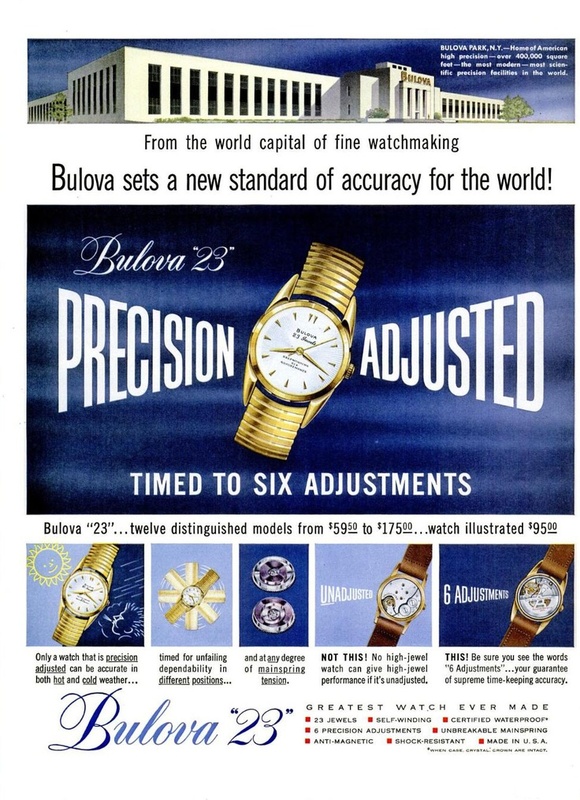 In 1955, Bulova Watch Company offered their Bulova “23″ – a self-winding model, which was timed to six adjustments.